The story of a pioneering naturalist stands as one of the best examples of an individual’s spiritual awakening becoming a catalyst for social change. Yosemite Valley and the Merced River. Credit: Wikimedia/By King of Hearts - Own work, CC BY-SA 3.0. Some rights reserved. On September 2 1867, a 29-year old Scottish immigrant called John Muir sat alone in an oak wood on the shore of the Ohio River, a pocket map spread in front of him, his forefinger tracing an arc through the deep South of Kentucky, Tennessee, North Carolina and Georgia, and finally pausing along the Florida Gulf coast a thousand miles away. He planned to walk there. A self-taught mechanical genius and trained botanist, Muir had been offered a lucrative partnership in an Indianapolis machine works and had been tempted to accept it, but at the risk of abandoning his lifelong dream of exploring the wilds of the Southern hemisphere. Only the clarity drawn from an accident six months earlier that had nearly blinded him had given him the resolve to abandon convention, renounce the prospect of wealth and success, and go “wholehearted and unafraid” into the American wilderness. While Muir took immense delight in the natural beauty he found in the untamed wilds he passed through on his way to Florida, he was unprepared for the darkness, social isolation and outright enmity he experienced as a northerner passing through the “war ruined” landscapes of the deep South two years after the end of the Civil War—including walking inadvertently along the actual route taken by General William Sherman on his scorched-earth campaign through the Georgia heartland. On reaching Florida he was deeply distressed to find a “vine-tied,” almost impenetrable swampland instead of the “flower garden” that had long stirred his imagination. A malarial fever overtook him in Cedar Keys, and would have killed him had not a friendly family nursed him back to health. After a three month convalescence, Muir sailed for Cuba, New York and then, in April, 1868, to California, where he worked as a day laborer and shepherd in the Sierra foothills in order to save enough money to continue his journey to South America. Determined to place himself on a permanent basis in the Sierras, Muir found work in a small lumber mill in Yosemite and built himself a cabin at the base of Yosemite Falls. The valley would serve as his home base for the next four years, allowing him to go on extended excursions into the alpine regions of the Merced and Tuolumne River watersheds where he could immerse himself in the landscape and blend his unusually acute empirical eye with visionary insights. However, his friends were worried. Muir’s siblings pleaded with him to abandon his “clouds and flowers” for more practical pursuits. "You must be social John," Jeanne Carr, a transcendentalist friend and spiritual mentor had written him, trying to coax him to leave the mountains and re-enter public life. “I could envy you your solitude, but there may be too much of it.” Carr felt strongly that Muir had a singular gift for carrying the transcendentalist vision of a sacred nature to a wider public, a vision she believed could help to dismantle the industrial consensus that saw nature only as a commercial resource to be exploited. Nonetheless in 1873, at Carr’s insistence, Muir spent several months in Oakland writing a series of studies of the Sierras that appeared in newspapers and magazines in California and on the East Coast. A seminal abstract on Sierra glaciation was published as part of the 1874 Proceedings of the American Association for the Advancement of Science. But the coarse food, unrelieved clamor and “unmixed materialism” of city life grated on his sensibilities. Muir moved to Oakland permanently in 1875 in order to take up journalism. His pilgrimage had ended, and the long, unbroken communion with his “warm God” was over. But from out of the crucible of that long, taxing and sometimes unsettling journey through wilderness landscapes “steeped with God” Muir had found his calling: if Americans could come to share his passion for wilderness, he believed, they would support its conservation and protection. Muir succeeded beyond his wildest imaginings. His many travel articles and almost a dozen books were widely read and helped to generate a groundswell of public opinion in favor of conservation. In his fifties, Muir developed a talent for political advocacy and during the last quarter of the century, he inspired and collaborated with some of the nation’s leading intellectuals, financiers, reformers and policy makers, including presidents Roosevelt and Taft, to lobby Congress to establish the nation’s first national parks, including his beloved Yosemite. With little more than his pen and his inexhaustible passion for “divine wildness,” Muir helped reverse the industrialized West’s unbridled exploitation of nature, while setting in motion what would become the modern conservation movement. In 1892 he founded the Sierra Club to advocate for the cause of conservation—the first organization of its kind—and served as its president until his death in 1914. 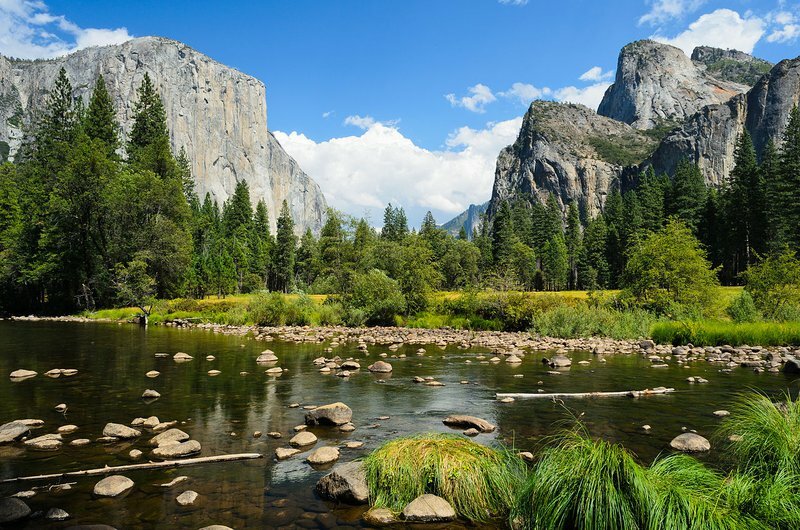 Since his passing, 6600 federal and state parks have been established in the USA, while more than one hundred million acres of America’s wetlands and forests, deserts, and mountains have been set aside as wilderness areas for the enjoyment, health, and—decidedly for Muir—the spiritual well-being of the public. His story stands as one of the best examples of an individual’s spiritual awakening becoming a catalyst for social change.